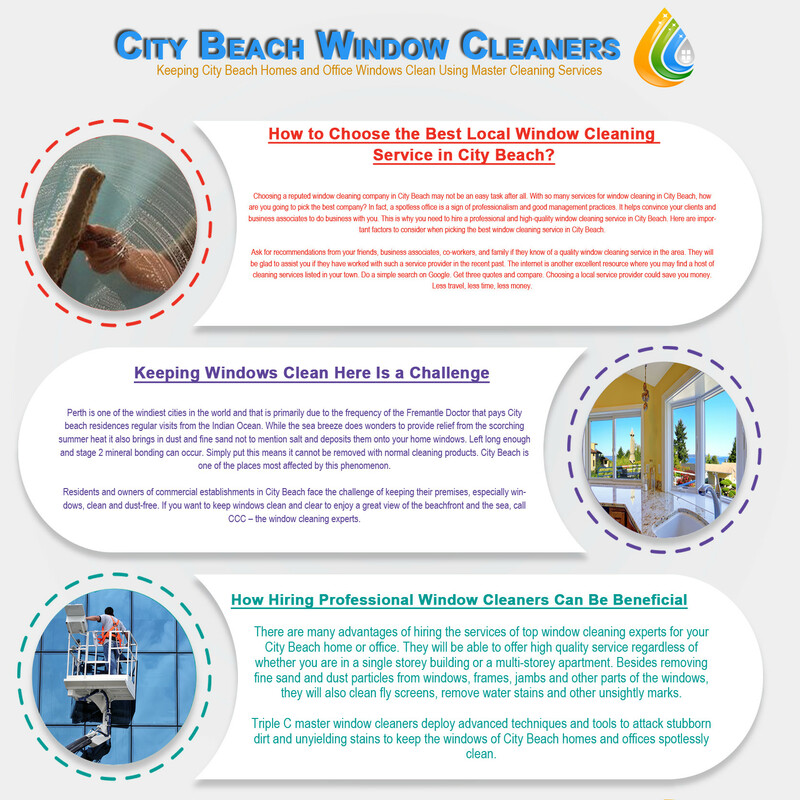 How to Choose the Best Local Window Cleaning Service in City Beach? Choosing a reputed window cleaning company in City Beach may not be an easy task after all. With so many services for window cleaning in City Beach, how are you going to pick the best company? In fact, a spotless office is a sign of professionalism and good management practices. It helps convince your clients and business associates to do business with you. This is why you need to hire a professional and high-quality window cleaning service in City Beach. Here are important factors to consider when picking the best window cleaning service in City Beach. Ask for recommendations from your friends, business associates, co-workers, and family if they know of a quality window cleaning service in the area. They will be glad to assist you if they have worked with such a service provider in the recent past. The internet is another excellent resource where you may find a host of cleaning services listed in your town. Do a simple search on Google. Get three quotes and compare. Choosing a local service provider could save you money. Less travel, less time, less money. Got a home or office in City Beach, Perth? You must be having a tough time keeping grime, dirt and dust away from your windows, not to mention ocean salt from the Fremantle doctor. City Beach is one of the most popular addresses in Perth, in fact in the whole of Australia, and the preferred destination for those looking for a breath-taking view of the sky, sea and then there’s the stunning beaches. Owning a home or commercial establishment in City Beach is a matter of great pride, but the effect of ocean breeze on windows can be a dampener especially so without the services of a regular window cleaning service. Before you know it, the same windows that provide you with those breath-taking views can become salt stained. White-hazed replaces crystal clear. Worse still, left long enough and your windows may never again be restored to their former glory. Perth is one of the windiest cities in the world and that is primarily due to the frequency of the Fremantle Doctor that pays City beach residences regular visits from the Indian Ocean. While the sea breeze does wonders to provide relief from the scorching summer heat it also brings in dust and fine sand not to mention salt and deposits them onto your home windows. Left long enough and stage 2 mineral bonding can occur. Simply put this means it cannot be removed with normal cleaning products. City Beach is one of the places most affected by this phenomenon. Residents and owners of commercial establishments in City Beach face the challenge of keeping their premises, especially windows, clean and dust-free. If you want to keep windows clean and clear to enjoy a great view of the beachfront and the sea, call CCC – the window cleaning experts. 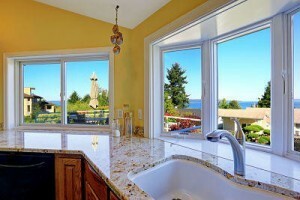 There are many advantages of hiring the services of top window cleaning experts for your City Beach home or office. They will be able to offer high quality service regardless of whether you are in a single storey building or a multi-storey apartment. Besides removing fine sand and dust particles from windows, frames, jambs and other parts of the windows, they will also clean fly screens, remove water stains and other unsightly marks. Triple C master window cleaners deploy advanced techniques and tools to attack stubborn dirt and unyielding stains to keep the windows of City Beach homes and offices spotlessly clean.